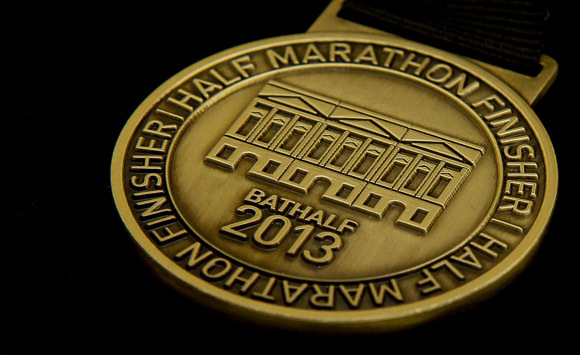 The Bath Half Marathon - or the 'Bath Half' as it is affectionately known, is one of the longest established and most popular city centre road events in the UK. It is also the largest charity fundraising event in the South West region, raising millions for charity. The course itself is fast and flat making it suitable for all abilities – for beginners whose key objective is to complete the course, to more regular long-distance event runners, looking to beat their personal best time. It covers a two lap 13.1 mile (21.1km) traffic-free course straddling both sides of the River Avon. The race starts and finishes in Great Pulteney Street, in the heart of the World Heritage City of Bath.